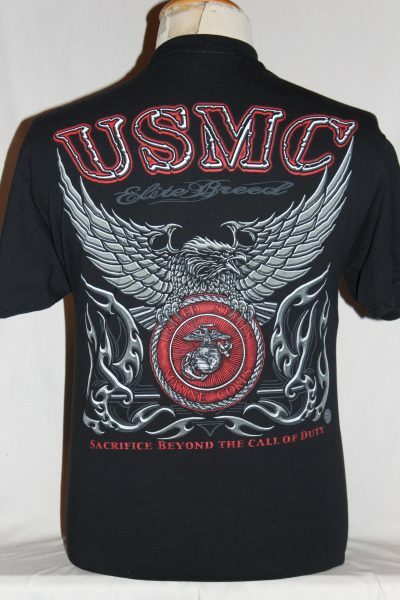 The USMC Elite Breed Beyond Fear T-shirt is two sided print in black. 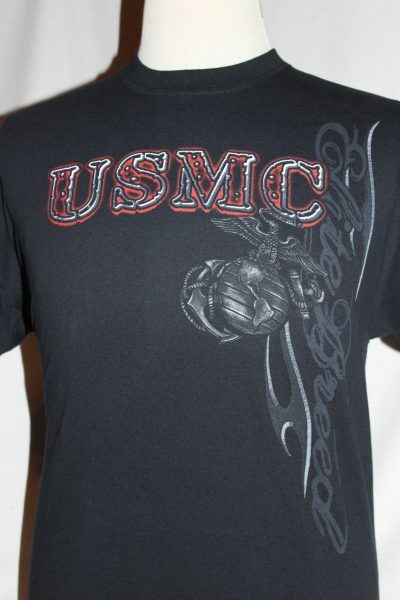 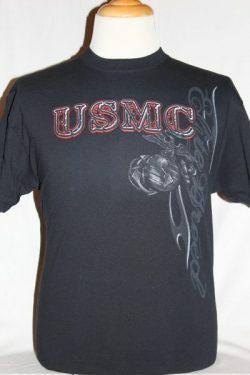 Front Design: USMC letters trimmed in red, Globe And Anchor and Elite Breed text screened in grey. 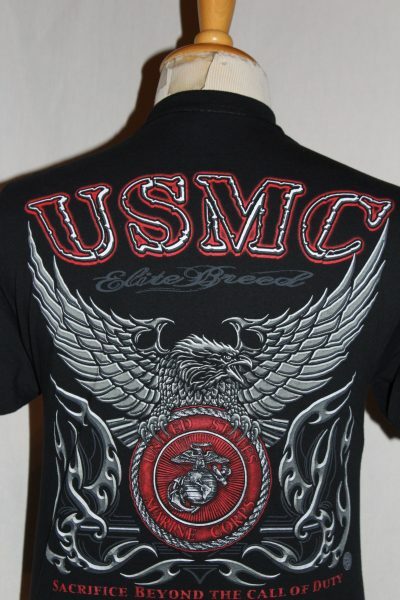 Back Design: Winged Eagle, USMC text trimmed in red, Elite Breed text screened in grey, and USMC Emblem screened in red.